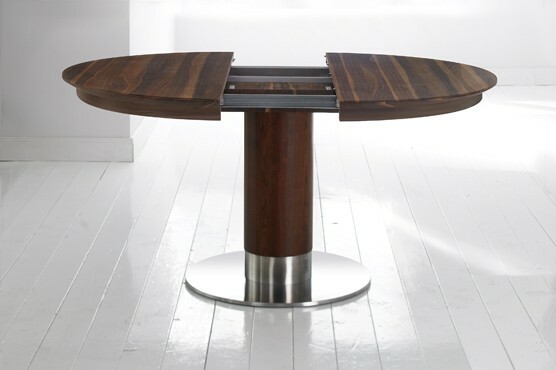 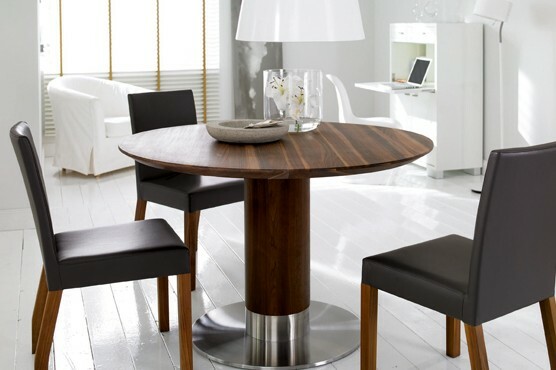 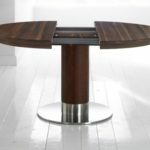 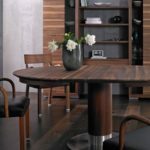 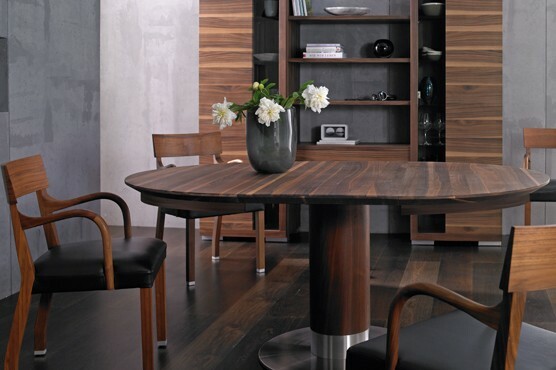 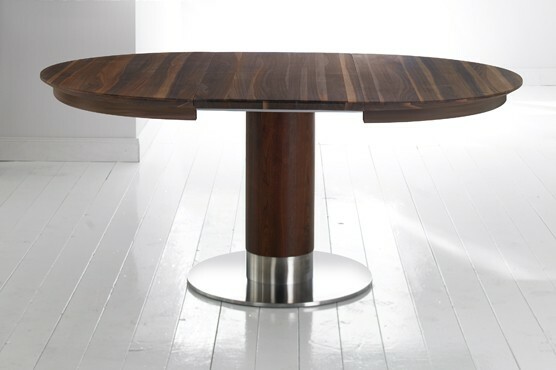 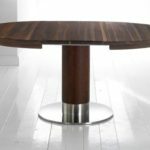 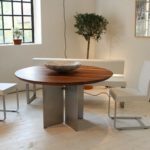 The table Calum 2010 has a massive or veneered table top with 120 to 140 cm diameter and can be extended by a further 55 cm. 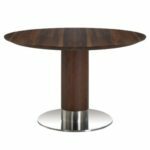 It rests on a central column with a stainless steel base. 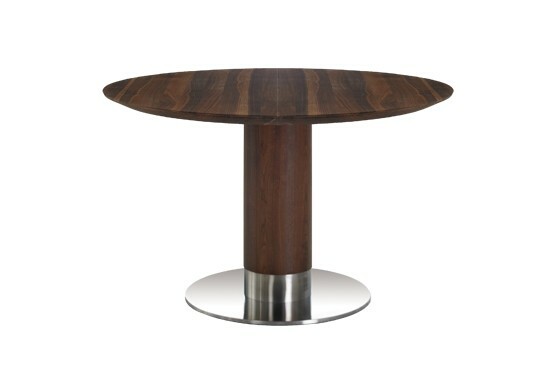 Overall height 75 cm. 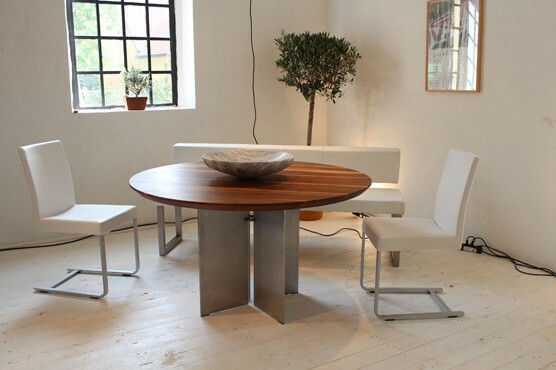 The extension mechanism is integrated into the table.